You can tailor your child's Wii U experience to suit their age using flexible Parental Controls. You can switch off as few or as many features as you desire to suit you and your child: for a young child, you might choose to prevent access to many functions, while individual features can be disabled without locking down the entire system for an older child. By default, all features are restricted when Parental Controls are enabled. 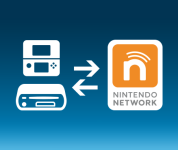 As a precautionary measure, Internet Settings, used to set up internet connection settings for Wii U, and the Format System Memory option, used to clear the system's memory, are restricted by default. The parental PIN code is required each time you wish to access these settings. The following Wii U functions can be restricted using Parental Controls. It is possible to temporarily enable functions for a single use by entering the parental PIN code when prompted. 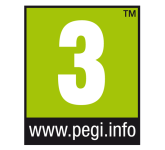 Game Rating – Restricts the usage of Wii U software with unsuitable content, defined by their age rating. It is only possible to access software that has an age rating higher than the age defined with the Software Rating setting by entering the parental PIN code. This also affects titles in Nintendo eShop; while icons for all games can still appear on the Nintendo eShop front page, it is not possible to click through to an age-restricted game's information without the parental PIN code. Age-restricted games will not be returned as results in Nintendo eShop's search function. If the parental PIN code is entered to temporarily disable Game Rating restrictions, the restrictions are removed until Nintendo eShop is closed. Please note that this setting does not affect Wii software. To set rating restrictions for Wii software, please select the Wii Menu Settings option. Online Interaction in Games – Restricts online features and exchange of content through games. To control the use of the internet browser, Nintendo eShop or Miiverse, you must set the restrictions for those separately. You cannot restrict certain data downloaded through SpotPass (such as system updates or notifications from Nintendo). Please note that this setting does not affect Wii software. To set online restrictions for Wii software, please select the Wii Menu Settings option. If you allow transmission of data, please explain to your child that the child should not give out personal information such as names and telephone numbers when communicating with others. 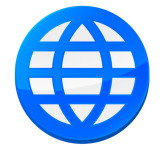 Internet Browser – Restricts the use of the internet browser. It is not possible to enter the Internet Browser at all without entering the parental PIN code. Wii U Shopping Services – Restricts the use of credit cards and online purchase of software through Wii U shopping services, such as Nintendo eShop. 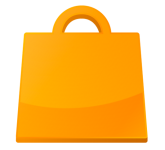 When this option is enabled, entry of the PIN code is required to add funds with a credit card or complete purchases in Nintendo eShop. This setting does not restrict the use of credit cards on web-based shopping sites or the downloading of free software. Please note that this setting does not affect Wii software. To restrict purchases made through the Wii Shop Channel, please select the Wii Menu Settings option. Friend Registration – Restricts users from adding friends via the friend list. It is possible to view activity of currently registered friends – for example, you can see if they are online and which game they are currently playing – but it is not possible to register new friends without the parental PIN code. Upon tapping the "Register Friend" button, a prompt will appear that allows the restriction to be temporarily removed by entering the parental PIN code. The PIN code must be entered each time the "Register Friend" button is touched. Please note that some functions allow communication with users who are not registered friends. If you wish to restrict communication with users who are not registered friends, please configure the Online Interaction in Games, Internet Browser and Miiverse restrictions. Entertainment Excluding Games – Restricts the use of non-game software (such as video viewing software). Game-related videos in Nintendo eShop are controlled separately by the Game Rating restriction. To prevent the viewing of videos within the internet browser or Miiverse, you must restrict use with the Internet Browser or Miiverse settings. Data Management – Restricts the deletion or moving of software or save data using Data Management. 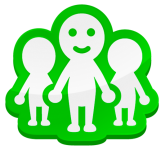 Miiverse – Restricts access to Miiverse. It is possible to select two different levels of restriction for Miiverse. By choosing "Restrict Posting", you will be unable to post comments, reply to other users' comments or Yeah other users' comments, but can still read comments and browse game communities. The "Restrict Posting Only" setting does not prevent registered friends from exchanging messages. Selecting "Restrict Viewing and Posting" prevents users from accessing Miiverse at all. Internet Settings – Restricts the addition, modification or deletion of internet settings. In addition to the above, other options such as country setting, certain user settings, Wii U Chat settings and the deletion of all content and settings will be automatically be restricted.